Tickets are $30. Members recieve a $10 discount. Sponsorships are limited but currently still available. Join us in celebrating the women in your workplace by sending them to Giles County's largest Lunch Date of the year! We will enjoy great food, prizes, and fun. 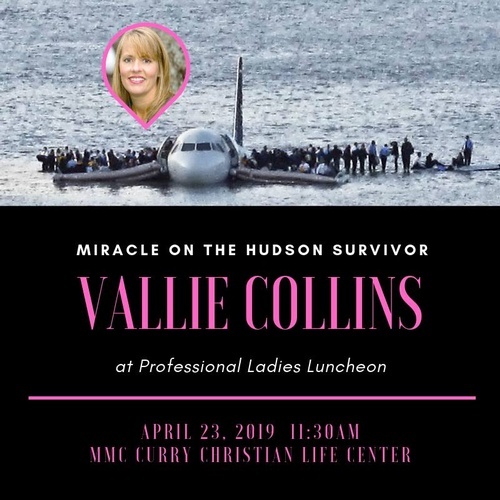 Vallie Coillins, of Maryville, TN will share her testimony of her experience on flight 1549 that landed in the Hudson on January 15, 2009. New this year!!! Professional headshots for our attendees and an artist painting live!